"The Bible is not for today! Modern problems require modern solutions, not ancient ones." Someone reading this objection may at first glance think, "What kind of objection is that?" I assure you that it is one that I have heard more than once from those who seek to discredit the Bible and it's relevance. It’s sufficient here to point out that this objection is based on a bias and not evidence. Meaning, just because something is old, it does not mean it’s unreliable. The question is, “Is the Bible true?” Truth is truth; now, 1,000 years from now, or 10,000 year from now. Truth does not change. 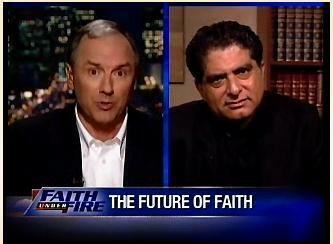 Greg Koukl and Deepak Chopra on "What is Truth?" Author Greg Koukl, of Stand to Reason Ministries, in his soon released book, Tactics: A Game Plan for Discussing your Christian Convictions, mentions a debate he once had with author Deepak Chopra on Lee Strobel's Faith Under Fire television show. The following is a short clip (5:03) of Koukl and Chopra discussing the topics of New Testament dating, the exclusiveness of Christianity, and the nature of religious truth. "It doesn't matter how fervent a person is, what matters is the reasons he has for believing what he believes." We live in a slogan society. Groundless assertions are routinely proclaimed publicly and counted as gospel truths and to often go unchallenged by those within earshot. "The Bible is full of myths!" "Women should have a right to choose." are boldly preached and have become authoritative dogma in many popular circles. Tragically, truth no longer seems to matter. While the death of truth in our culture has been tragic enough, equally as heartbreaking is the lack of intelligent answers being given by those who claim to follow Jesus Christ, the very one who claimed to be the Truth (John 14:6). Author Greg Koukl, in his new book, Tactics:A Game Plan for Discussing your Christian Convictions, seeks to equip believers with thoughtful responses to common objections and offers a challenge to those who claim to be Christians- become an ambassador for Jesus Christ. The majority of the book focuses on the second skill, an artful method for sharing the truth with unbelievers and questioners. Koukl is obviously a seasoned veteran when it comes to debate and intellectual conversation. Throughout the book, he draws on his personal experiences which range from conversations with waitresses to televised debates. Regardless of the setting, the reader gains a massive amount of wisdom and logic from these interactions. Koukl is careful to explain that the tactics he presents in the book are not for manipulation, but to aid you in staying in the driver's seat while discussing your spiritual convictions. 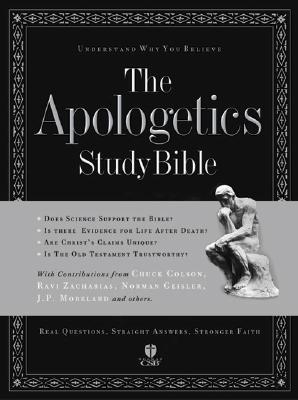 After challenging some common objections to apologetics and pointing out that arguing can actually be a virtue, Koukl begins to educate the reader on what he calls the “queen mother of all tactics,” the Columbo Method, named after Lieutenant Columbo, brilliant TV detective. The strength of the Columbo tactic is that anyone can learn to do it and with practice become a fairly confident communicator of the gospel. Here, the reader learns how to identify and respond to an idea that seems to logically make sense, but self-destructs when practically applied. Have you ever been in a conversation with someone who constantly interrupts you when you are trying to explain your position? Koukl explains how to handle the "steamroller." I was astounded at the amount of familiar objections Koukl was able to challenge in a very factual, logical, and respectful manner. Throughout the book, he demolishes numerous popular statements that are often vocalized without any evidence to sustain themselves. Abortion, biblical authority, and homosexuality are just a few examples. The reader can’t help but to be challenged and encouraged by his razor sharp logic and practical methods. Koukl's heart throughout the book is to reach unbelievers with the gospel in a respectful, but thoughtful manner, realizing that it's ultimately God's job to change hearts. However, don't be misled, Tactics is not just another book about sharing your faith, but stands distinct among it's peers. Koukl's unique methods, clear approach, and easy to apply ideas make Tactics: A Game Plan for Discussing your Christian Convictions a must have for any thoughtful Christian's library. This work boasts recommendations from some of the best in Christian apologetics today. Norman Geisler, William Lane Craig, J.P. Moreland, Gary Habermas, and Paul Copan are just a few and I echo there gleaming reviews. If you are a Christian, buy this book! You will come away with a wonderful collection of thoughtful points and airtight arguments to share with those who have questions about Jesus and His life saving message. I am gratefully to Zondervan for the opportunity to review this fine book. Apologist Frank Turek, co-author of the book I Don't Enough Faith to be an Atheist, is bringing his seminar, called by that same name, to the Frederick, Maryland Area in February. For Part I, Dr. Turek will be at Hood College on February 24th, 2009 from 7:30-9:30 pm. Admission to the event is free and Dr. Turek will be addressing topics such as: 1) How can it be true that there is not truth? 2) Three arguments that God exists. For more information regarding this event, see here. For Part II, Dr. Turek will be at Hood College on Thursday, February 26th, 2009 from 7:30-9:30 pm. Admission is once again free and Dr. Turek will be addressing the the topics of: 3) Evidence of the Greatest Miracle. 4) Six reasons we know the New Testament is true. For more information, see here. If you are a member of Faith Christian Fellowship or in the area and interested in attending Dr. Turek's seminar, please email me at djspidey67@yahoo.com. Truthbomb is interested in taking a group to the presentations. Dr. Turek has debated Christopher Hitchens and is president of Cross-Examined Ministries, geared toward educating high school and college aged Christians about the truths of Christianity. New Testament scholar Craig Blomberg offers 12 reasons to trust the accuracy of the gospel narratives in the New Testament. See his brief article here. For more evidence that supports the accuracy of the Bible, see here. 3. Biographies of notable Christian apologists from the past such as C.S. Lewis, William Paley, and Thomas Aquinas. It is David A. Horner's biography of Thomas Aquinas that offers us a glimpse of the attitude the follower of Jesus Christ should have when addressing someone with different beliefs. Let it be said of those of us who follow Christ that we "serve the truth" (Jn. 14:6). 1) David A. Horner, Notable Christian Apologist: Thomas Aquinas, The Apologetics Study Bible, p. 957. 1) Dr. William Lane Craig will debate atheist Christopher Hitchens on the topic of Does God Exist? on April 4, 2009. 2) Dr. William Lane Craig will debate historian Richard Carrier on the topic of Are Moral Facts Evidence of God? March 18, 2009. 3) Dr. William Lane Craig will debate philosopher Quentin Smith on the topic of Does God Exist? on January 28, 2009. 4) Mike Licona will debate Bart Ehrman once more on the topic of the resurrection of Christ on April 2, 2009. Paul Copan on "Rediscovering Apologetics"
In his article, Rediscovering Apologetics, philosopher and Christian apologist Paul Copan explains why followers of Christ should be equipped to answers questions about what they believe, why pastors should preach apologetic sermons, and how our young people need to be taught how to engage ideas thoughtfully. "... with some guidance, and armed with the knowledge that their faith can withstand intellectual scrutiny, Christians can converse engagingly with doubters and skeptics."